A service to celebrate Mary Jo's life will be held 2:00 p.m. Wednesday, August 7, 2013, at Argyle United Methodist Church. 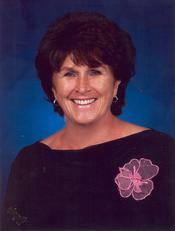 Mary Jo Nelson, age 73, of Argyle, passed away suddenly Saturday, August 3, 2013, in Flower Mound. She was born August 12, 1939 in Berkeley Springs, West Virginia to Winton Lafayette Dawson and Lola Mae Phillips Dawson. Mary Jo married Harry A. Nelson on December 23, 1961 in Berkeley Springs. She was a member of Argyle United Methodist Church. Mary Jo is survived by her husband, Harry; children, JoAlain Farley and husband, Ty, Krista Nelson and Todd A. Nelson and wife, Nancy; grandchildren, Taylor, Jordan, Connor, Kennady, Landry, Karys, T.J. and Max and brothers, Phillip Dawson and John R. Dawson.